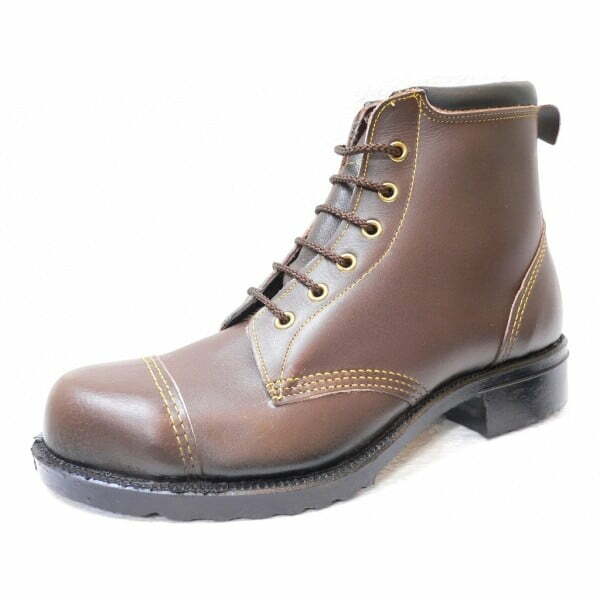 Derby style steel toe capped safety boot made from greasy brown smooth full grain leather with a cut out padded top band. 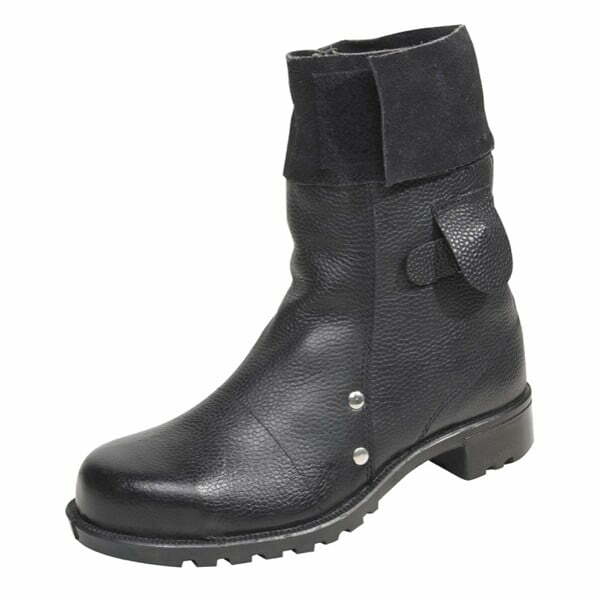 Fitted with a highly durable moulded rubber sole. 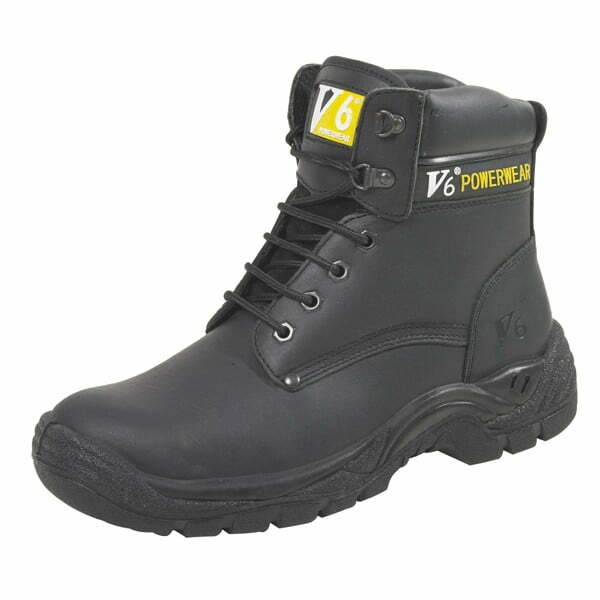 Very tough mens work boots for all conditions offering all round foot protection at an affordable price. 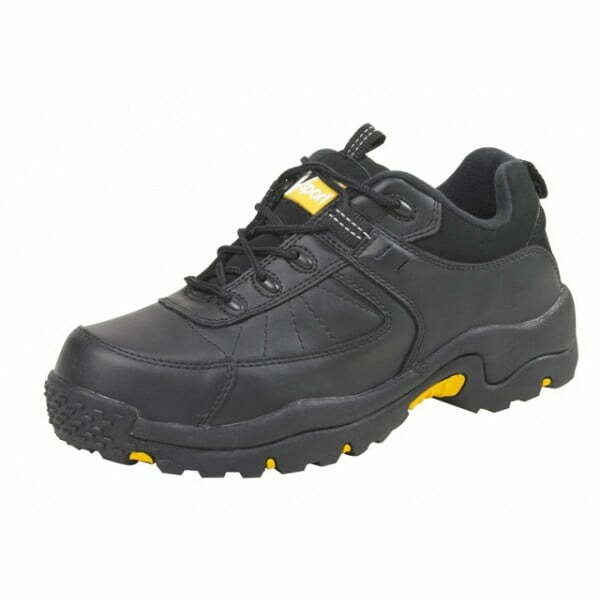 High quality industrial footwear from one of the longest established manufacturers and suppliers of working boots and safety shoes in Britain. To see a similar style click here. 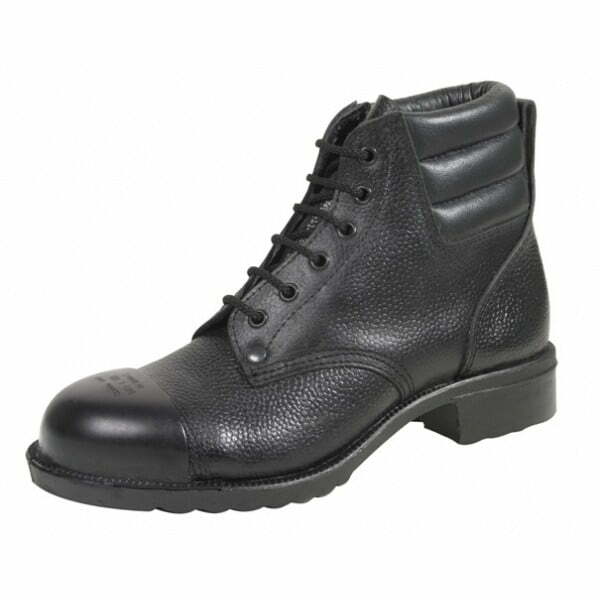 Excellent sturdy retro boot, same style work boot as was worn late 1960s by workers and subcultures. A perfect shoe. Comfortable, gives an unbelievable feeling while wearing. Unfortunately, such shoes have become rare today. Thanks to you, the precious legacy of British footwear lives on. An Anglophile from Germany greets you warmly. Thank you for taking the time to let us have your feedback on the 94or safety boots. We really appreciate it. Kind regards, Libs. I buy and wear out 2 pairs of work-boots every year -for some reason I just knacker any footwear in a short period of time, so feel suitably qualified to review these 94OR boots! I am pleased to be wearing such fantastic boots -for £59.95 I feel as if I found a little-known bargain. Once I wear these out, as I inevitably will, I will definitely be back for more.